Click a color sample below to view the door in that finish. *Due to variations in monitor color accuracy, your image may not represent actual stain color. Please request a sample from your dealer. Doors are constructed using 3/4″ x 2-1/4″ solid wood rails with mortise and tenon corner joints. Doors are beveled on back for easy grip opening. 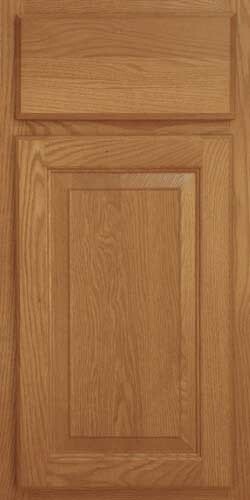 Doors are either 5/8″ solid oak or maple veneers on fiberboard panel. All center panels are held in place using space balls that enable wood expansion and contraction.